The Transportation Safety Board of Canada (TSB) found that the common practice of clearing aircraft and vehicle movements across an infrequently used runway without prior coordination contributed to a runway incursion at the Calgary International Airport, Alberta, in December 2016. In the late afternoon of 2 December 2016, the Calgary airport switched operations from using parallel north/south runways to the infrequently used runway 29 due to strong westerly winds. Consequently, an Air Canada Airbus A320-200, operating flight 221, was cleared for takeoff on runway 29 by the tower controller. However, during the takeoff roll, the flight crew saw a Sunwest Aviation Swearingen SA226-TC Metro cargo aircraft crossing runway 29 on taxiway A. Because the Sunwest aircraft was more than halfway across runway 29 at that time, the Air Canada crew elected to continue with the takeoff, which was completed without further incident. The investigation determined that the runway incursion occurred after the ground controller cleared the Sunwest aircraft to cross runway 29 while the Air Canada flight was departing. The ground controller, who was simultaneously overseeing the movement of two other aircraft, inadvertently applied the usual practice of clearing aircraft to cross runway 29 without coordinating with the tower controller. Since the construction of parallel runways in 2014, runway 29 was mostly used at night – when ground and tower control responsibilities are combined and coordination is not required – and during strong westerly winds during the day. As a result, there was little opportunity to maintain proficiency in runway 29 operations during the day, and no training to practice those operations, including the need to coordinate before crossing runway 29. 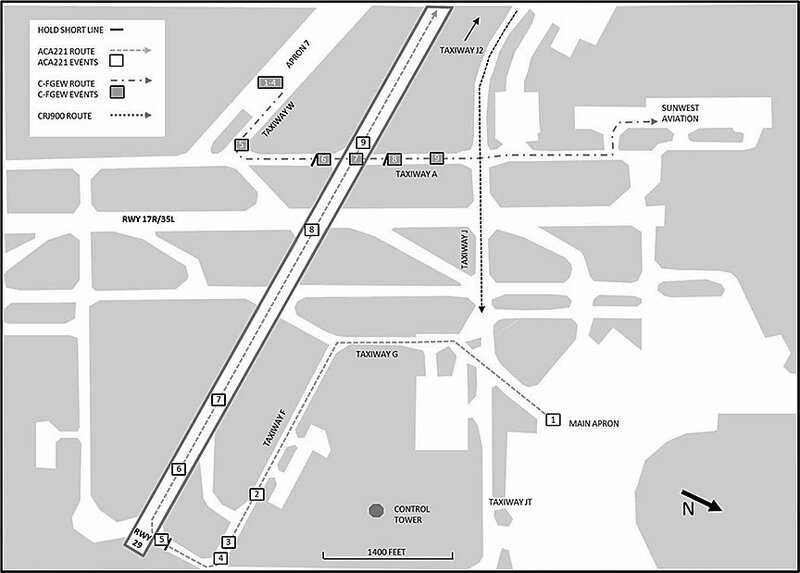 Additionally, the runway jurisdiction system on the controllers’ displays, a tool to remind them of which controller is responsible for which runways, did not provide a sufficiently compelling cue to ensure coordination with tower control before clearing an aircraft to cross runway 29. There have been four other runway incursions involving runway 29 at the Calgary airport since parallel runway operations began in 2014. Issues of declining proficiency with runway 29 operations were identified through NAV CANADA’s safety management system (SMS). Although some corrective measures were taken, further safety action that had been identified was not pursued. If proposed safety actions are not tracked to completion, there is an increased likelihood that identified safety risks will not be effectively mitigated. Safety management and oversight is an issue on the TSB Watchlist. 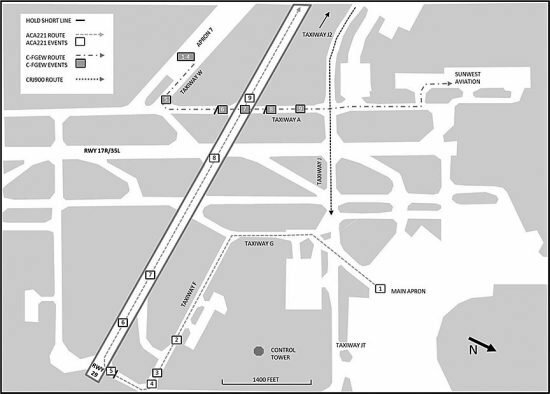 Following this occurrence, NAV CANADA took a number of steps to improve procedures for runway 29 operations at the Calgary airport. It has created a new “monitor” control position to provide more effective surveillance when using runway 29. It has also improved the display systems used by controllers as memory aids when coordination is required.